This paper by Mishra and Mishra looks at the question of appropriate monetary policy for a developing country like India. Their analysis suggests that existence of structural bottle necks implies that if the monetary policy follows a monetary targeting framework then it requires a wide berth to be effective. 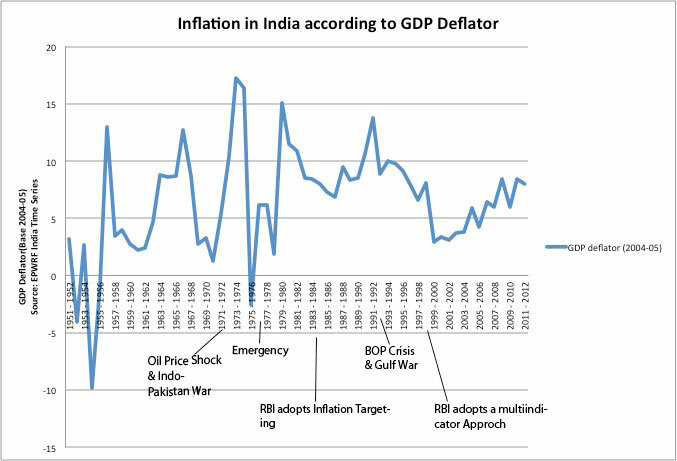 Another paper by Saibal Ghosh estimates the industry effects of monetary policy in India. There findings indicate that industries exhibit differential response to a monetary tightening and that both interest rate and financial accelerator variables tend to be important in explaining the differential response.